Tradition is very important in many regards and when it comes to holidays, most people like to keep things familiar. This time of the year sees the release of many holiday themed slots and while many try to reinvent the wheel, Pragmatic Play has removed all pretences in their latest slot release and kept things as traditional as possible. The slot is simply titled Santa. The reel backgrounds are a white forest that looks like it could be on the North Pole and the reels themselves are a traditional red and gold colour scheme. While the graphics are certainly of a very high standard, because Pragmatic Play stuck so close to Christmas traditions, they can’t help but look a bit generic. The reels feature a helper elf, a reindeer, golden Christmas bells and a candy cane. The rest of the icons are standard playing card symbols, but they are very festively decorated. Santa himself is the wild icon here and a golden gift symbol triggers the special bonus pick-me feature. When this feature activates you are taken to a special screen where you can pick from a variety of gifts, 4 of which contain one of 4 special jackpots. The largest, the Grand jackpot, offers a prize of 250x your staked wager, the smallest jackpot is the Mini jackpot which pays out 10x your staked wager. Finally of course there is the free spins feature. This is activated by the Christmas tree icon. Not only will 3 or more of them award free spins but you will also get 2x your staked wager as a prize. During the free spins game you will see more Santa wilds appear on the middle three reels of the game. This is solid slot from Pragmatic Play who have really stepped up the quality of their games recently. This is potentially what led to the company’s current deal with Twin Casino to provide them with content. 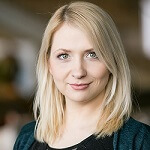 While the casino only received 7 live games initially, Pragmatic Play are planning on rolling out more games from their catalogue each week in January. 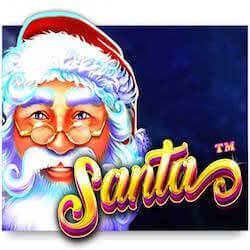 Unfortunately Twin Casino will not get to have Santa slot before Christmas which is a shame. This is a good final release this December for Pragmatic Play who have a successful year behind them which should only get better in 2018.